Last year marked 100 years since the end of The First World War. Given that communications were far less effective and much slower than what we know today, advertisements became an essential means of boosting morale and letting everyone know how they could contribute their help. There’s still plenty to be learned from the World War I posters – from their mistakes through to their triumphs. 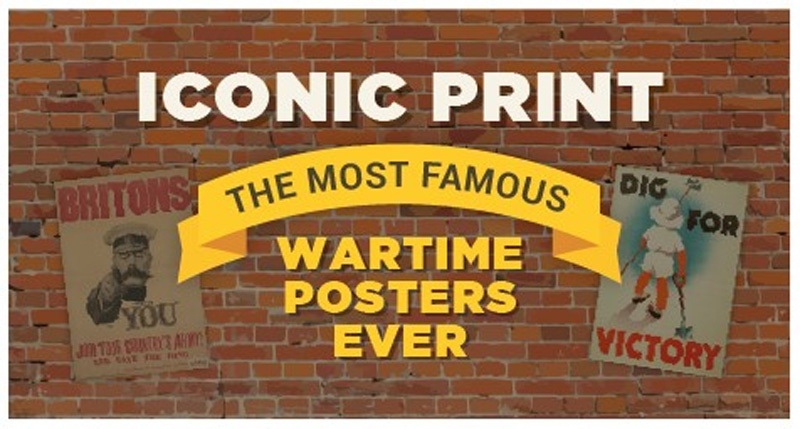 Promotional print company, Where The Trade Buys, has compiled a collection of some of the most creative and iconic posters of World War I. See if you recognise any? 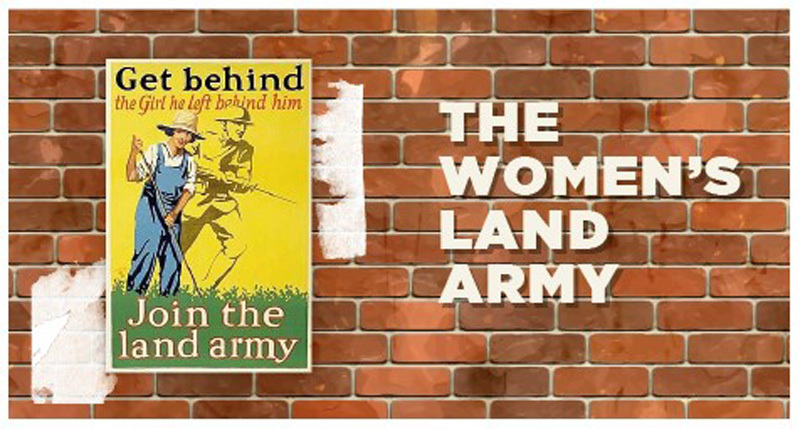 Women’s Land Army (WLA) recruitment posters are some of the most remembered wartime memorabilia from World War I and II. By the end of the first year of World War I, more than one million men had been recruited to the British Army — a number that hit around five million by the end of the conflict. 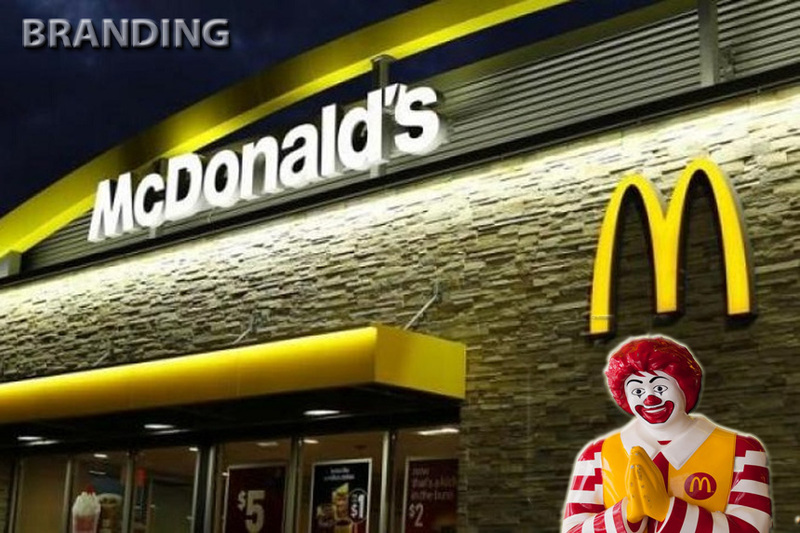 As a result, the country was suffering from a significant workforce shortage and needed to employ the help of women to feed the people left at home. The aim of this ad — launched in World War I — was to encourage young women to take over jobs in agriculture. Often referred to as ‘Land Girls’, some farmers were hesitant or even completely against using female workers, despite the dire situation. Others even felt that the choice of WLA uniform was too masculine. So, why did this work? To someone who was deemed unsuitable to participate in front-line combat for her country and who perhaps wanted to break free of the domesticated lifestyle and dress code that she was compelled to follow, this image of a woman dressed in loose dungarees and working in a field showed that this was the time to prove how equally capable female manual labourers were to their male counterparts. Just two years after its launch in 1915, there were over a quarter of a million women working on British farms, with approximately 23,000 in the Women’s Land Army. Used in countless memes today, the Keep Calm and Carry On poster was part of a motivational campaign — which included ads featuring the slogans: ‘Freedom is in peril, defend it with all your might’ and ‘Your courage, your cheerfulness, your resolution will bring us victory’ — that was launched by the government in 1939. 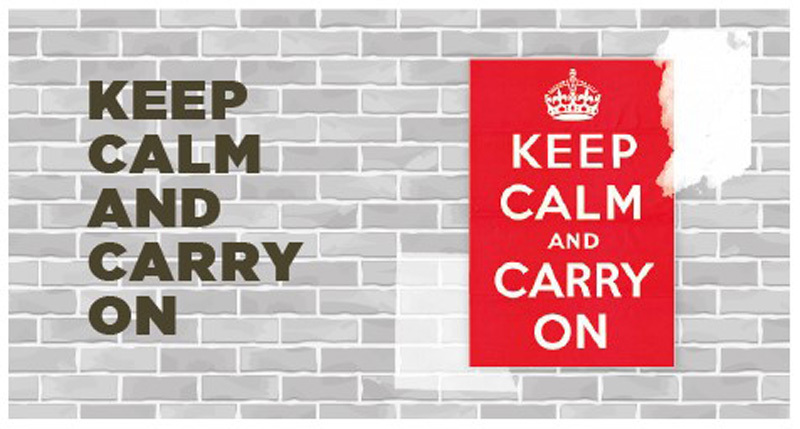 The punchy phrase and crown image of the Keep Calm and Carry On poster were designed to quell hysteria and instil a collective feeling of togetherness, community spirit, and, most importantly, ‘Britishness’ to help people cope with the tragedies of war. It didn’t. Around 2.45 million posters for this campaign were printed, yet ‘Keep calm and carry on’ was never authorised for display and the other two designs had a very limited showing before being scrapped. But why? From the start, these slogans were an issue, with many finding them patronising, ambiguous and inappropriate. They were designed under the misconception that the nation would be hit by bombing after bombing, resulting in massive destruction and countless casualties immediately following the declaration of war. So, when war was declared, and this didn’t happen, these dramatic mottos just didn’t make much sense. Many also interpreted the ‘your courage will bring us victory’ as soldiers and the general public must make sacrifices on behalf of the upper classes and high-ranking army officials, which added to their lack of appeal. Luckily, an original copy of the ‘Keep calm and carry on’ poster was rediscovered in Alnwick in 2000 and the saying has been reused on mugs, pens, t-shirts and other merchandise with much success ever since! Designed by Alfred Leete, this World War I recruitment poster is potentially the most recognisable. It features the British Secretary of State for War, Lord Kitchener, pointing at the reader above the slogan ‘wants you’. At the time, Lord Horatio Kitchener was a well-known and very respected military leader and statesman to the public — an opinion not necessarily shared by all of his cabinet peers. However, his image proved to be a great choice. The government were able to encourage millions of men to enlist, and reportedly, there was a significant spike in volunteers putting themselves forward to join the army immediately after the poster’s launch in September 1914. This recruitment design uses a selection of tactics to evoke the response it wants from its audience. 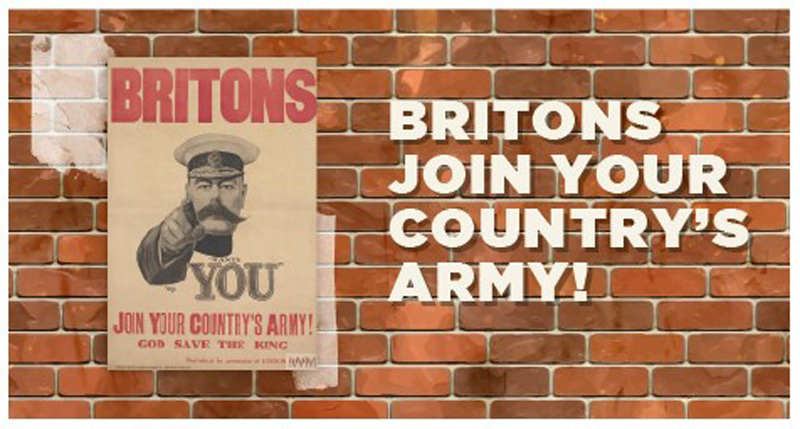 The emboldened ‘BRITONS’ text and insertion of ‘God save the king’ were hugely influential in inspiring patriotism, while the image of the pointing Lord Kitchener made the poster seem personal to each viewer as an individual. The call-to-action — ‘Join your country’s army!’ — is also clear and concise, while the use of red is an excellent choice to grab attention. It was critical at the time of this poster’s launch that men took immediate action and enlisted to fight, and this urgency is clear from its strong, stirring and succinct design. 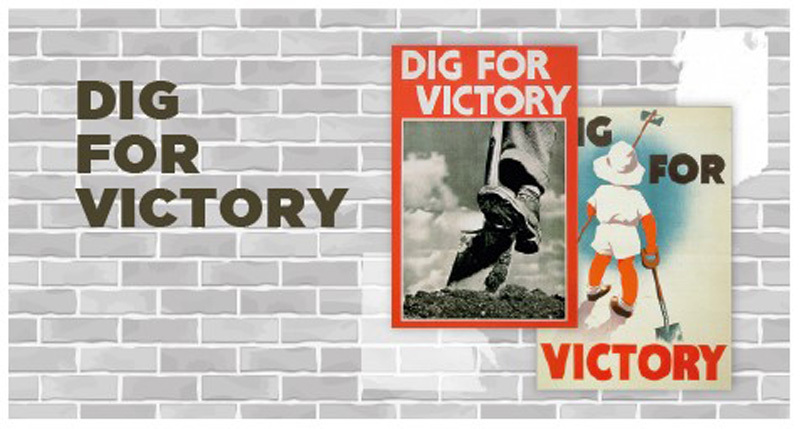 In 2018, most people still recognise the slogan ‘Dig for victory’ and associate it with the World War II drive for home-grown produce. During the 1939-1945 conflict, feeding those left at home became a great concern and something needed to be done to reduce the country’s reliance on imported produce. So, around a month prior to the outbreak of World War II, the Ministry of Agriculture launched the ‘Dig for victory’ poster to encourage the public to grow their own food to ease the pressure on rationing. This campaign was international, with ‘victory gardens’ proving just as popular in countries like Canada, Australia and the US. Soon, urban areas were transformed wherever possible, with many parks, sports fields and back gardens used in cities as makeshift allotments. Even the lawn next to the Tower of London was used to grow vegetables! The reason this poster worked so well was its simplicity. The slogan ‘Dig for victory’ has all the tools to inspire a response: a simple action (dig) to secure an essential outcome (victory). Utilising the eye-catching quality of bold red and a simple close-up of a ‘Brit at work’, the poster grabs the viewer’s attention and implants a sense of ‘taking action’ to make a difference. Reportedly, the number of allotments across the country reached around 1.75 million following the launch of the ‘Dig for victory’! Due to the risk of bombings by aircrafts during World War I, it became essential that the public protected itself as best it could in an air raid shelter. As you can imagine, this was a new concept and there were many of these temporary places of safety all over cities. In fact, up to 300,000 people used underground stations from 1915 onwards! Consequently, posters were places in or at the entry points of air raid shelters to make it clear where these sanctuaries were — and what you could take in with you. 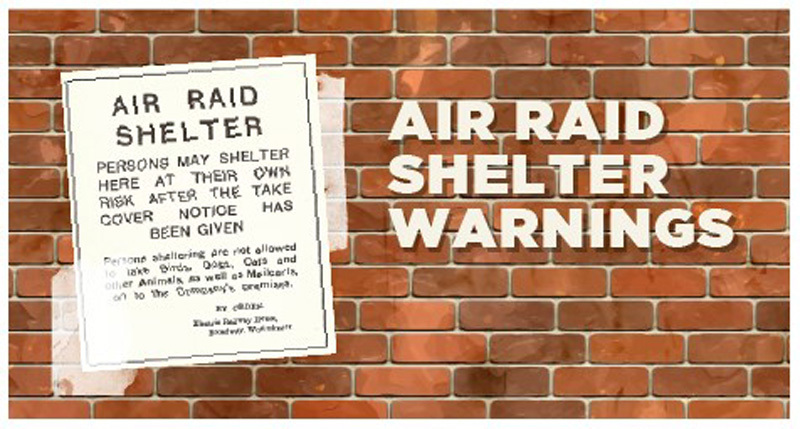 Although not the most inspiring or attention-grabbing design in the collection, this air raid warning poster, which was placed outside of London’s tube stations, had a purpose and it served it. Using different-sized fonts, it separates each piece of information into level of importance: the first being that the location is a place for shelter, the second that any injury here is not the fault of anyone but the wounded person, and the last that certain creatures and objects are forbidden. Around double the number of people used tube stations to shelter from bombings between May 1917 and May 1918 than during The Blitz attacks of 1940. A poster encouraging personal war effort: Are You in This? Created by Scouts founder, Robert Baden Powell, this poster was first produced in 1915 and features a mix of people carrying out various war-related jobs. with the slogan ‘Are you in this?’. 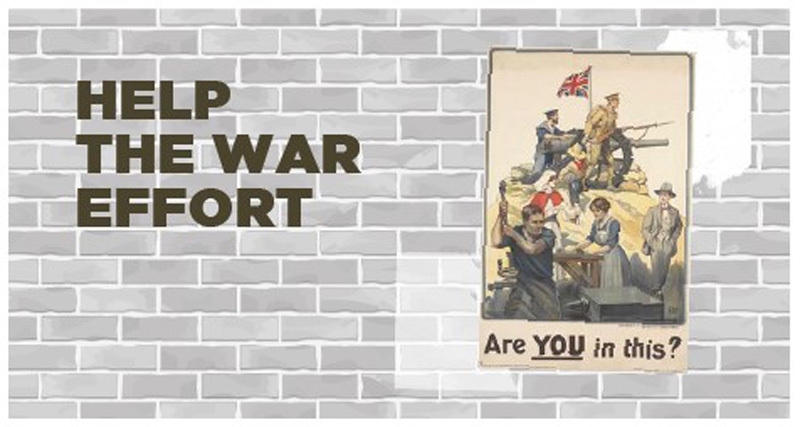 The ad in effect asked you to evaluate your personal war effort — are you helping the wounded, working in munitions, building vital machinery, fighting in the armed forces, or simply strolling around with your hands in your pockets? Why a strong image can have an impact? This poster perfectly symbolises the saying: ‘a picture speaks a thousand words’. 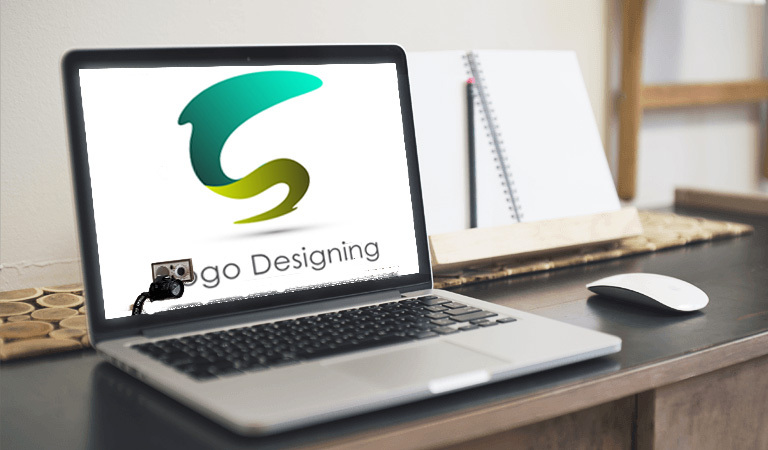 In marketing, you have a very small timeframe to make an impact — and a strong image that tells a story can sometimes help you achieve that quicker than text. This ad was successful because of its ability to speak directly to a single viewer — for example, it’s not gender-specific. The use of multiple war roles helps to widen the scope of potential jobs that someone who is not ‘doing their duty’ could be doing, if they took action. Relegated to the edge of the poster with his hands idly in his pockets, few viewers would feel a positive connection with the man who is not contributing. 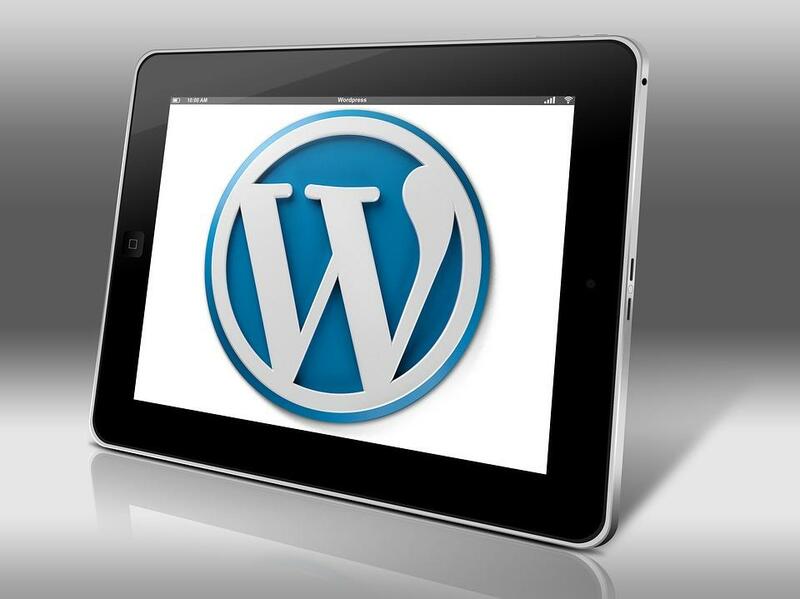 Previous Post:How To Use WordPress For Ecommerce Web sites?